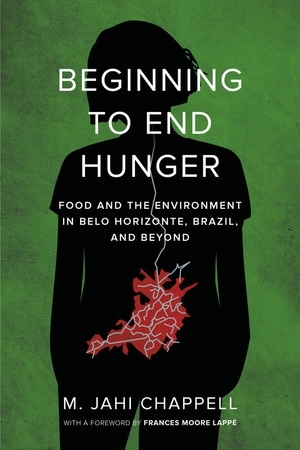 Jahi Chappell continuously begs the question: “Who benefits?” He shares his thoughts about hunger and our food systems in his book Beginning to End Hunger: Food and the Environment in Belo Hori­zonte, Brazil, and Beyond. In six chapters, he outlines his analytical background and tells the story about an extraordinary effort to end hunger in the city of Belo Horizonte and its surrounding villages. Marianna Siegmund-Schultze, PhD, is an agricultural scientist and systems thinker at the Berlin Institute of Technology (TU Berlin), Germany, working on the interfaces of socioeconomics, natural resources, and governance. She recently served as a visiting professor in Brazil, where she taught courses about environmental governance. Previously, she was the scientific manager of a collaborative research project on sustainable land management with a large team of Brazilian and German researchers.